From startups bringing new inventions to market, to established companies needing to protect their work, Frank has helped numerous clients develop, protect, and utilize their trademarks, copyrights, and other intellectual property. 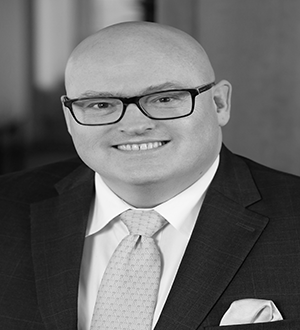 He has extensive experience in domestic and international trademark law and in trade name and domain name matters, stemming from his prior work as a Trademark Examining Attorney with the U. S. Patent and Trademark Office. Frank is a Partner in the firm's Corporate Department and Chair of the Trademark Practice Group. He counsels clients on trademark clearance, procurement, and maintenance, helping them manage their global trademark portfolios. He oversees all phases of international litigations, oppositions, and cancellation proceedings, including those before the U. S. Patent and Trademark Office's Trademark Trial and Appeal Board. Frank also advises clients on policing of their proprietary rights, including domain name disputes, investigations of potential infringers, risk/benefit analysis of legal actions against infringers, enforcement strategies, negotiating settlement and coexistence agreements, licenses, and other creative methods of resolving conflicts. He co-authored "Best Practices in Protecting and Enforcing Trademarks, Copyrights, and other Intellectual Property Rights," published in the Franchise Law Journal; and co-authored "Post-Termination Internet Violations: Who Fixes and How?" appearing in Franchising World. Frank is a member of the Intellectual Property Law Section of the Connecticut Bar Association, the New York International Property Law Section of the New York State Bar Association, and the International Trademark Association (INTA), where he serves on the Government Officials Training Committee. Frank received his J.D. from the University of Bridgeport School of Law (now called Quinnipiac University School of Law) and is a member of the Phi Delta Phi legal honors fraternity. He received a B.A. from Central Connecticut State University. Beyond his client work, Frank is an Adjunct Professor of Trademark and Copyright Law at Quinnipiac University School of Law and is a member of the firm's Diversity Committee. Central Connecticut State University, B.A.